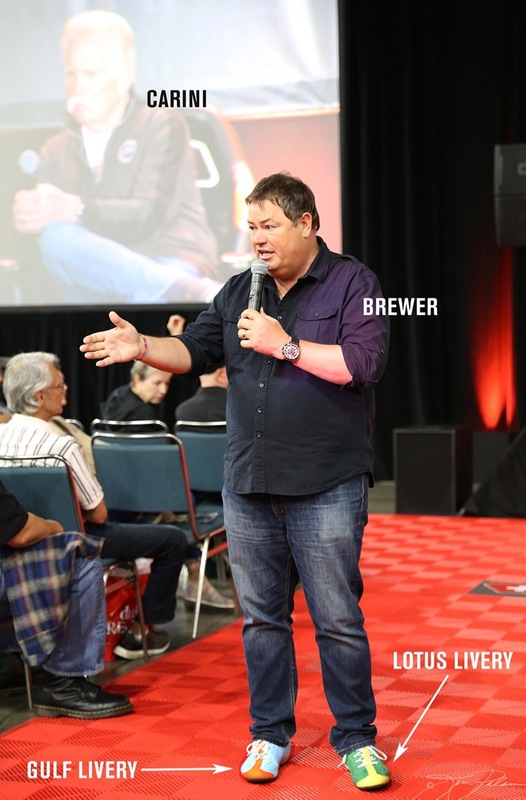 The ‘Mystery’ is the mysterious Mysterion and Mike Brewer’s two different shoes, reason enough to keep checking the latest at http://CarGuyChronicles.com , blogs Jim Palam. Taking inspiration from the UK’s Classic Motor Show, the US Classic Auto Show was promoted as “The largest three-day indoor classic car show in the U.S.” My hopes were high as I escalated to the second floor of the LA Convention Center and got a friendly wave from Wayne Carini, star of Chasing Classic Cars. This was the second year for the Show. Was this the huge event that was promised? A few vendors and exhibitors I talked to were on the fence – but I had a great time. So check out my coverage – and definitely check out the ‘Show if it comes to LA again in 2019. In 1963 legendary car customizer and artist Ed “Big Daddy” Roth built the Mysterion, above, a twin-engined custom bubble-top roadster. Roth’s masterpiece reportedly quickly disappeared and has since become a true mystery. 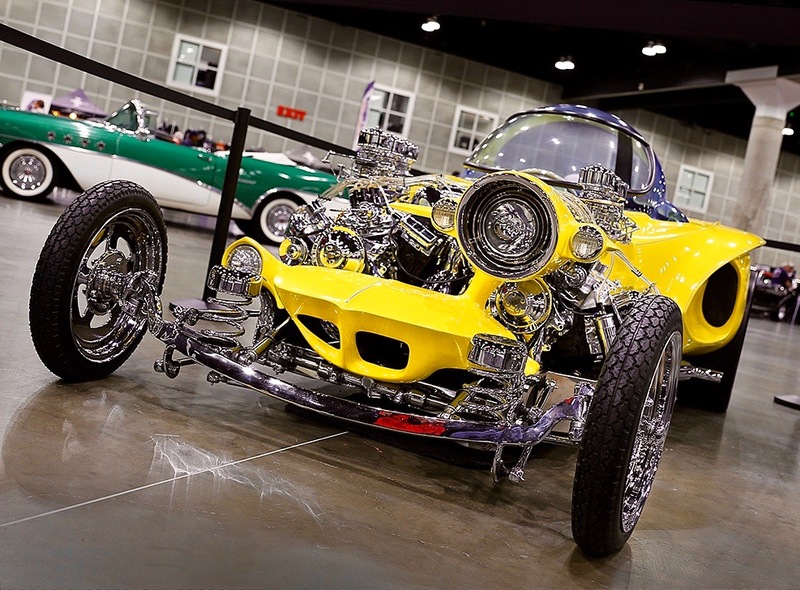 So, it was exciting to discover Jeff Jones’ impressive recreation of the Mysterion – all real and all shiny in The City of Angels. One of the Show’s selling points was “Car Guy Celebrities.” I caught Wheeler-Dealers Mike Brewer, above, right, in the Host Role with Chasing Classic Cars’ Wayne Carini in the Guest Seat on the Show’s Center Stage. An audience member asked Mike why he was wearing two different shoes. I’ll leave you Guys for now with that mystery and a photo clue. 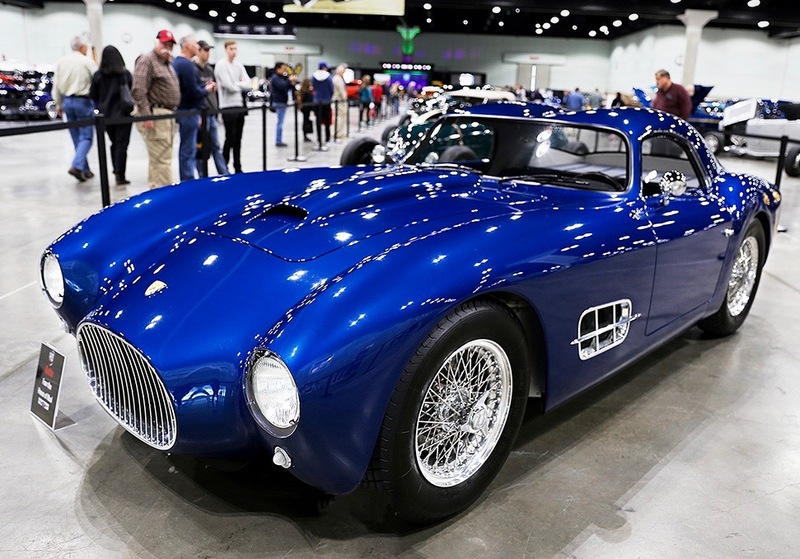 The Gatto from Moal Coachbuilders of Oakland, CA is not at all furry and while it may purr at idle, its Ferrari 250 GTO Spec heart is surely happier when it’s racing. This semi-monocoque coupe is light and lithe at 2,300 pounds. Nice Kitty! 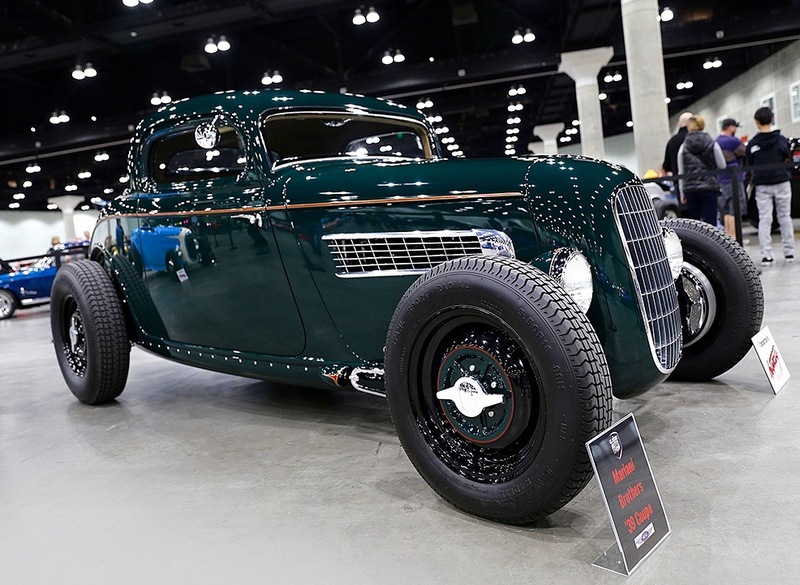 The Mariani Brothers’ ’34 Ford 3-Window Coupe is a Land Speed Racer homage from Steve Moal. 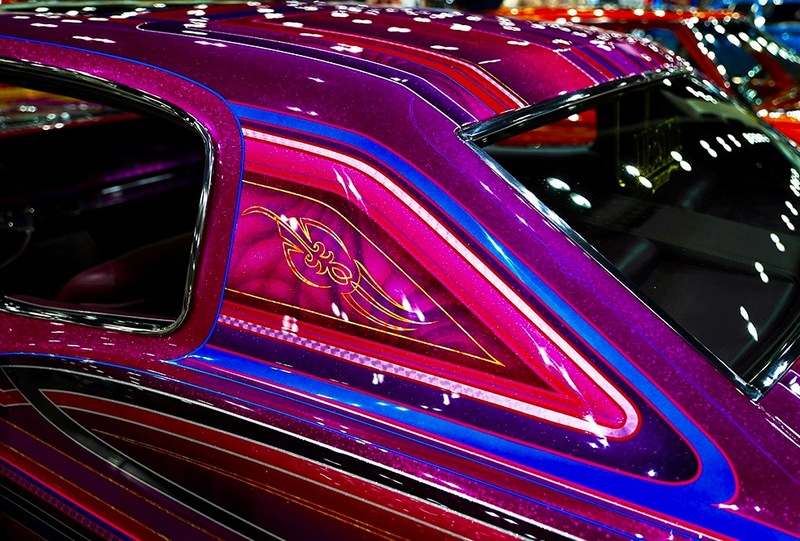 It’s deep-green paint was as much of an eye-catcher as the vibrant colors layering the Lifestyle Lowrider sparklers parked nearby on the Grand Boulevard display lane. Here’s a wicked way to motivate over the hill! 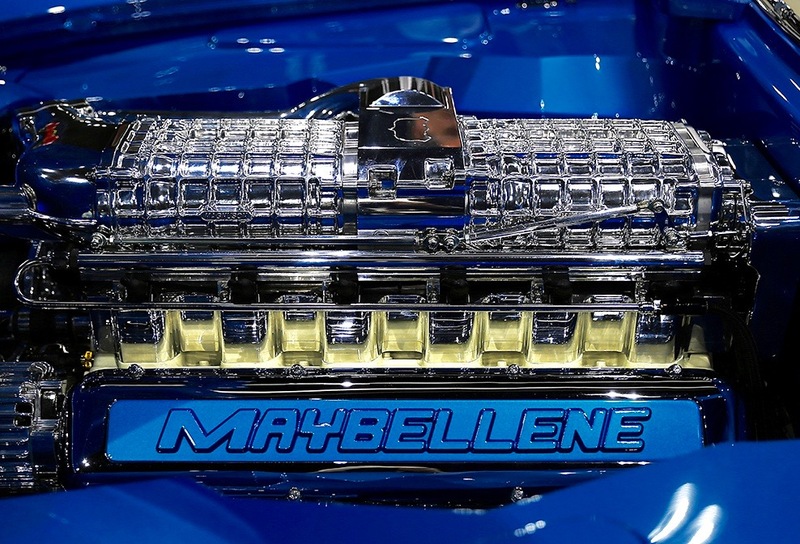 Kindig-It Design, put this wicked twin-supercharged, 940 horsepower Falconer all-aluminum V12 engine in Maybellene, their ’58 Lincoln Continental Mark III. Blimey! Looks like a couple of blokes installed a bloody supercharged Daimler 2.5 Litre V8 in a hot red ‘48 MG TC! Removing the original 1,250-cc Four no doubt caused purists to throw a wobbly. 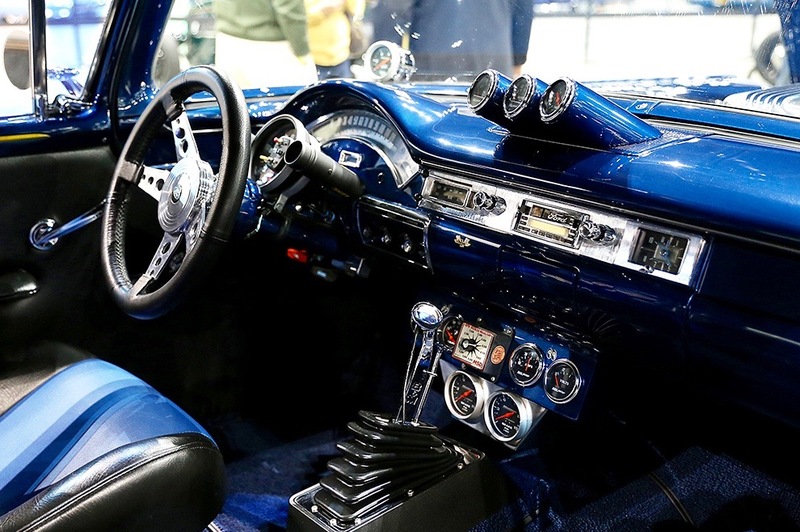 The interior of Rick Crawford’s 427 Side-Oiler-powered ’57 Ford Custom 300 is a showcase of power, purpose and panache: B&M shifter, Hurst Line Lock, Simpson five-point belts, Auto Meter gauges & Morrison roll bar. 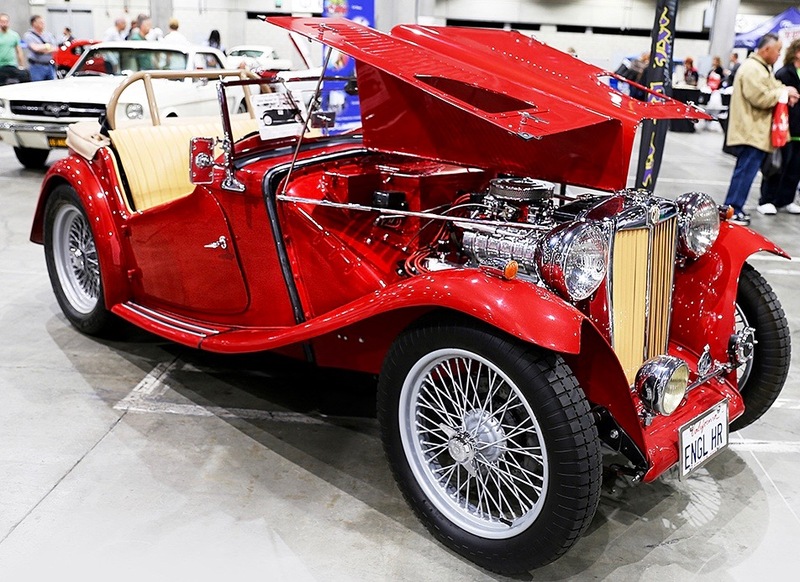 Car club entries were an important component of The Classic Auto Show and VW enthusiasts made an impressive showing. 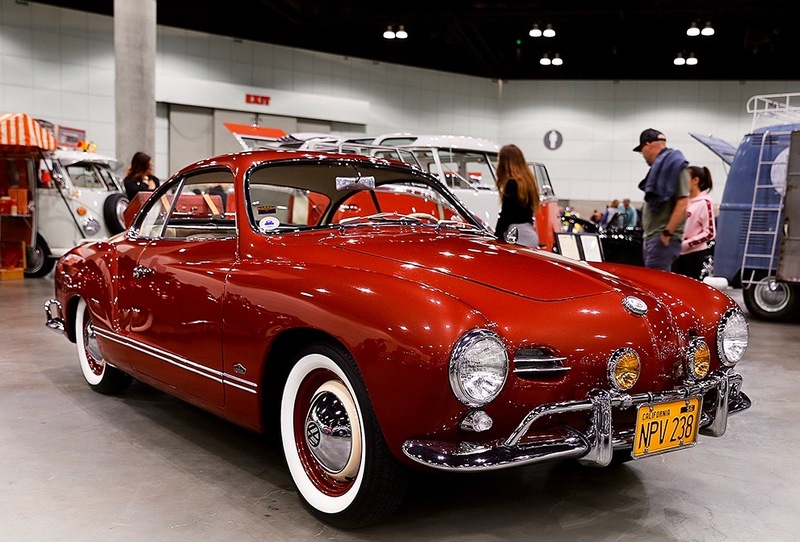 It was hard to pick just one to feature here, but I felt this perfect ’56 Karmann-Ghia coupe best represents the lasting appeal of these stylish, affordable and fun classics. 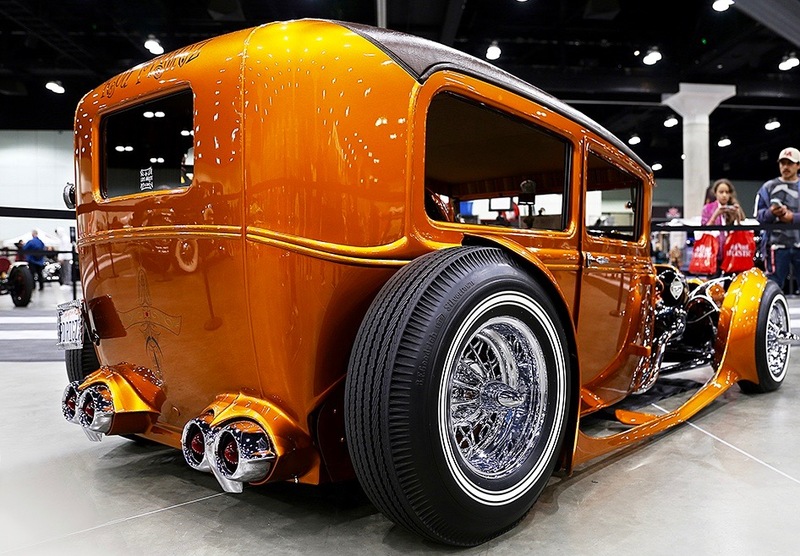 I didn’t know that Rod Riguez, Junichi Shimodaira’s jaw & axle-dropping ’30 Ford Tudor custom is considered an early and classic example of Japanese Rod & Custom culture. 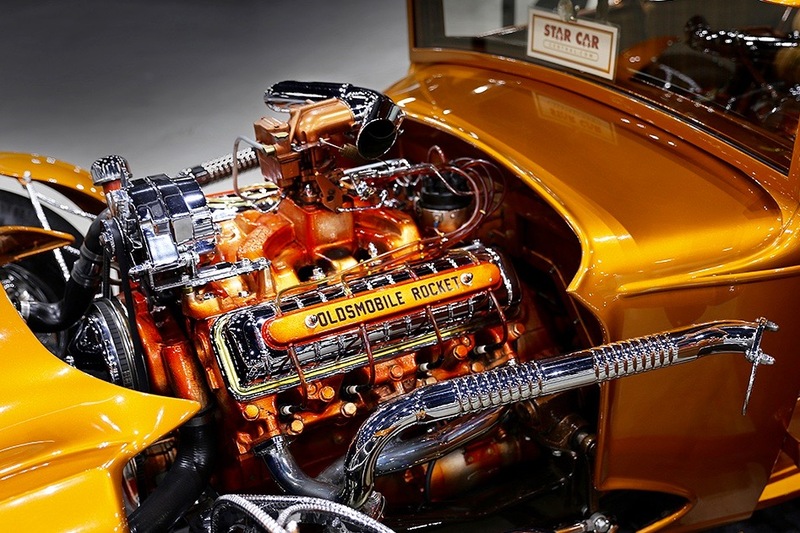 Rod’s Oldsmobile Rocket V8 engine is the Money shot for this car.